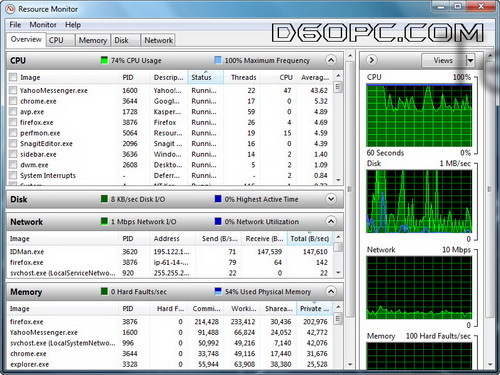 There are lot of application which we can use to monitor memory usage and CPU on Windows. On Windows 7, you can monitor real time the usage and performance of CPU, Disk, Memory and network without any need to install other application. Because Windows 7 already provide a Resource Monitor Tools to monitor real time and give detailed report about process resource usage on Windows.